Building relationships with local businesses is very important to SLOCO Massage & Wellness Spa. 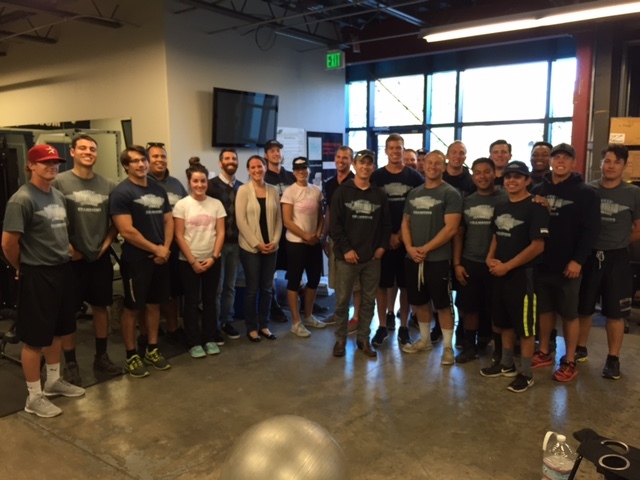 For the past 3 years, we have worked closely with Meathead Movers‘ San Luis Obispo branch to make sure that their student-athlete employees stay healthy and happy. These studs are the only movers who jog when not carrying items and use massage therapy as one way of ensuring their moves are at peak performance. We were invited to speak at April’s Team Captain meeting on the importance of using massage as preventative care, rather than just for injury recovery. Massage can help improve muscle tone, strength and flexibility by working the muscle to break up adhesions. This also increases circulation which helps nourish the muscle in order to keep it healthy and pliable. We also spoke about some key stretches that compliment the proper lifting techniques that their staff is trained to use in order to help prevent injuries during heavy lifting. If your office could benefit from incorporating massage or group consultations into its workplace wellness program, we would love to hear from you!